Fun and games. Paris (middle, centre) at Manawa Hou. Talented and dedicated rangatahi Paris Lokotui (Ngāi Tahu, Ngati Kuri, Te Rarawa, Te Aupouri, Tonga) has just completed a remarkable year representing New Zealand in three sports. Paris aims a shot while playing for New Zealand. 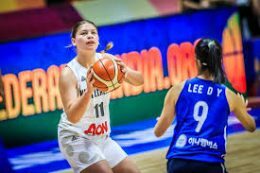 The triple international has this year competed in the New Zealand under 16 water polo, New Zealand under 17 basketball and Aotearoa Māori netball teams. 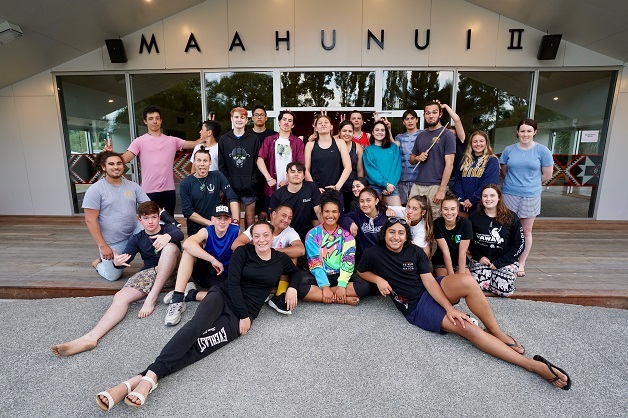 Paris has kept a hectic schedule, but that hasn’t stopped her capping off 2017 to take time out to connect with and celebrate her Ngāi Tahu heritage.At the start of December Paris participated in the Manawa Hou hīkoi ki Tuahiwi, an opportunity for Ngāi Tahu secondary school students to learn about their culture and walk in the footsteps of their ancestors. During her three days on Manawa Hou, the confidence and character she has developed as a national representative were evident. Paris in action for Wellington. Paris Lokotui is an incredibly talented young woman with a bright future. 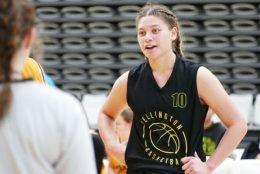 Her whānau has kept her grounded and she remains humble and dedicated to her calling, in the pool and on the court. Her commitment to engage with her culture and aim for academic excellence will continue to open doors for her as she navigates some very busy senior years at Queen Margaret College – Kia kaha, kia māia kia manawa nui e hine!